Shift-right or shift-left? What testing to choose? Are you sure that shift-left testing is a new approach? Actually, in 1950 IT specialists knew that testing performed at the very beginning of the project was more resultative. And at that time developers wrote the code and conducted testing. No independent testers were available. A waterfall model gave birth to separate test teams and divided project teams into dev and test ones. The majority of software teams works according to the waterfall model. It contains a definite number of steps that are performed in a specific order to create a new software product or implement a new feature. These steps include the stage of system requirements, software requirements, analysis, system design, coding, software testing and the final step – operations. This model is considered to be a traditional one. But the waterfall model makes testing a bottleneck during software development. The practice to test a build / system / feature during the last few days before release is not working. Test team should retest the builds with fixed issues to make sure the errors have been resolved without any after-effects. So, testing at the last stages of development procedure requires more time and may cause new issues. According to a shift-left model, testing starts from the very beginning of software process. Testers get acquainted with system requirements, take part in design sessions – they are going hand in hand with developers. 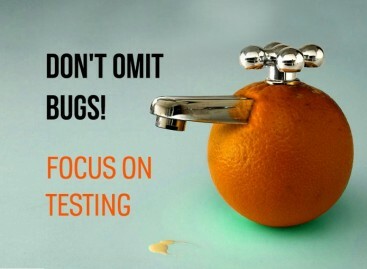 During all this time, QA specialists design possible test scenarios, define areas with potential bugs, etc. They have time to prepare for the testing procedure and to better understand the system behavior. Now you may think that we will review the specifics of shifting testing right because it is an effective technique that demonstrates visible results. But I have to disappoint you. We are going to talk about shifting testing right. Don’t be surprised, in a moment you will understand everything by looking into the entrails. To shift testing right does not mean to move it at the very far end of dev procedure. No. It means to continue testing under the preproduction and production conditions. By shifting right, testers are able to detect the issues that cannot be discovered during development. Usually, shift-right includes the acceptance and deployment of software, A/B testing, non-functional and exploratory tests and finally advanced testing. In other words, a shift-right approach is software testing in post production environment. By gathering feedback from target audience, shift-right testing ensures the accurate evaluation of product functioning under real world conditions. It helps to define the unexpected issues: crashes, low performance, errors, etc, that appear only in production conditions. The end of coding and system checking on a machine are not the final steps of dev procedure. The success among end users depends on a number of factors. To reach better results, you should not make a choice to shift left or shift right. You should apply both these approaches. In order to understand “what is going on”, shift-left is used. It significantly shortens the time needed for test creation and increases the total quality of the software under development. Shift-left provides the proper work of system from the business side. Shift-right focuses on end users needs and ensures positive user experience.